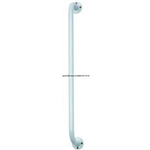 Suction Cup Grab Bar 21.5"
Knurled Chrome Grab Bar - 32"
When a complete seat is required. Easy to clean. 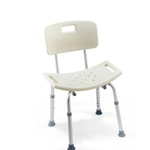 Material: Foamed polyurethane. Fits both Clean pan and regular hospital pans with a thin rim. 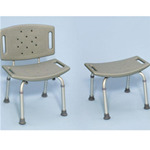 Clean Fixed Height 19 1/4"
Lightweight, molded polyurethane, Includes discreet carrying bag for use when traveling. 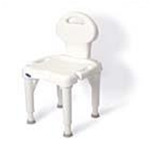 Hinge allows seat to be lifted in the same manner as your standard toilet seat. Fits standard toilet bowl and uses your seat lid. Hardware included. 12" Suction Cup Grab Bar Contoured handle makes for a secured grip Push levers down to attach to the surface.